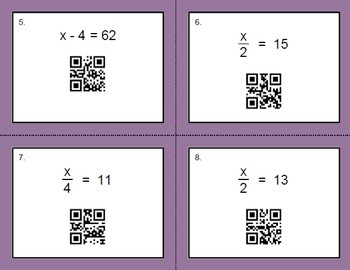 QR Code Task Cards: One Step Equations (Mixed Operations). 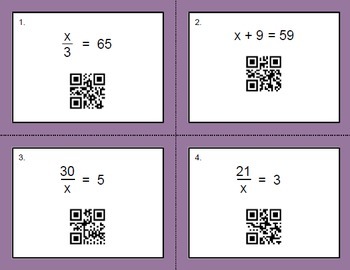 Package contains 24 Task Cards with self checking QR codes, Recording Sheet and Answer Key. 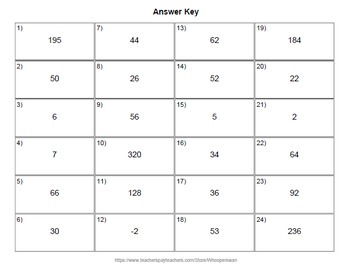 Print on cardstock, laminate and cut out. 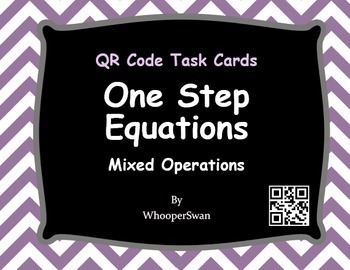 Please CLICK HERE to view other QR Code Task Cards MATH products!